The annoying summers are to blame for this terrible behavior of kids. In summers, kids generally lose their appetite and are less on energy due to too much heat and dehydration. It is very important to ensure that they take proper nutritional diet to adjust their body according to the scorching summer heat. Chilled watermelon is juicy and is available hugely during summer. You can literally find watermelons everywhere and stock during the entire summers. They are high in water content and the bright red coloured ones are sweet. Watermelon contains 92 % and is high in vitamin A. It helps to flush out the toxins and keeps the body well hydrated. Always opt for the yellow-spotted watermelons they are usually sweetest and ripe. The word cucumber is synonyms to cool. It can be found everywhere during summers. They can be included as a part of salad, smoothies, shakes, and juice. You can also look for small, thin kakadi. Cucumbers deeply hydrate the body and are loaded with fibres. If your kid is not a big fan of cucumber, try to include it as smoothies or shakes. You can create funky cucumber sticks and let the kids enjoy as evening snacks. Our desi dahi is the best food to beat the summer heat. You can give a cup of curd during breakfast, lunch and also during dinner. You can prepare lassi, buttermilk, mishti doi, raita, curd rice for your kids. The probiotics present in curd helps to boost the digestive enzymes. In addition to it, curd cools the body and is a yummy treat for kids. Coconut water is the perfect companion for summers, it increases the water content inside the body. It can be given to both kids as well as adults. The kids love to scoop out the sweet malai too, tender coconut water is loaded with natural potassium, electrolytes, minerals etc. It keeps the body deeply hydrated and rejuvenates little one&#39;s body. Always opt for fresh tender coconut water and not the packed one. 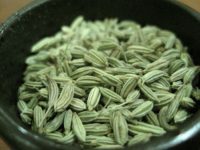 Fennel Seeds are usually used as a component to enhance the flavor of meals. You can use a spoonful of Fennel Seeds to keep the body cool. It is not only the best mouth freshener but also helps to promote digestive enzymes. It also highly help to control acid reflex and boost secretion of intestinal fluids. Add 1 tablespoon of fennel seeds to 1 cup of water, allow it to boil for 10-15 minutes, give this fennel infused water to kids after every meal to keep their body hydrated. 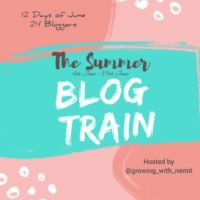 Now, it’s time move to the next station where Anupriya will share her take on the theme ‘Summer’ on her blog http://www.mommytincture.com. Do check out her post and show some love. I mostly give all these things to my kids except fennel seeds but from tomorrow will start giving it to my kids. Fruits are must have in summers, they hydrate us and gives energy… Thanx for sharing such useful post. My Kido is Also a fussy eater…. Have to fight to make him eat…. And in the summer… Ufffff!!!! But thanks dear for this wonderful post… My grand MA also said me to give my Kido fennel side… It’s really a good one for the summer…??? And all of my favourites as well! Win win!! great post and I agree these foods are great for during summer season. they will keep our body cool and prevent summer related illnesses. thanks a lot for good reminder. Thanks for a wonderful introduction Priyanka. 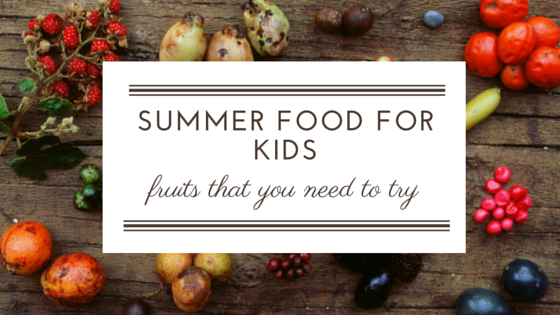 I could check four of the five food items you mentioned that are must have for kids in summers. Very relevant and apt. I still need to explore fennel seeds though. Summer holidays is the time to enjoy and relax but at the same time it’s the time when kids fall sick due to sun exposure and dehydration. The 5 food options you mentioned are very important in order to keep our kids ready to enjoy summer..
Will surely add these things for my munchkin. Very helpful post for fuzzy eaters, thanks for sharing. Thanks for sharing this useful post . I was not aware of the benefits of fennel seeds. Will start using it from now on. And I am sure my son will love the new taste of fennel water. Thanks for sharing this informative post for parents. We love watermelons in summer! I think it’s a must have given to the cooling effect and the nutrients it has! Great post on summer nutrition! Very informative post.. it is very important to stay hydrated in this unforgiving heat not just for kids, for us as well. Indeed, these are great food options and I try to give most of these daily to my son. they are great to save us from heat stroke. Very useful post. Never knew the importance of fennel seeds though. good job!!! I so agree with your points. Infact i believe kids automatically crave such food too.. especially coconut water and fruits like watermelon. They realise how much it helps cool their system down. With a toddler who is fussy eater and gets bogged down with summer heat too easily..this list is a saviour! Thanks for sharing and yes, fennel seeds was something untried. Will surely use it now. ? Thanks for sharing such an informative post… I didn’t know about the cooling benefits of fennel seeds.. Will surely include the same in our menu.. This is such a insightful post. The use of feenal seeds is totally new to me. Thanks for sharing this excellent write up. Very well explained. good suggestions – these are such healthy options and easy to pack and carry along too. This is a good list which makes sense as they are healthy too. I wasnt aware about fennel seeds. A very helpful post indeed. I too try to include these in our summer diet.Cucumbers happen daily. I love watermelon and curd during summer and my family too. Very hydrating on body these are . Awesome post. This is such an informative post. As a mum, it’s so important for me to offer my child healthy nutritious food but also take care of weather. Summers make kids so dehydrated and the food choices here are best to keep them hydrated. You have mentioned all relevant food items. Infact, I am introducing them slowly in my infant’s diet. Really a informative post..yes it is very important to stay hydrated in summers..thanx for the better options? My boy hates all of them except cucumber. That’s why I give him home made mango juice and shikanji to stay hydrate. He loves mango. On the other side, I am fond of watermelon and curd so I have them very frequent. Very informative post. All the foods mentioned by you are not only healthy but also have cooling properties.